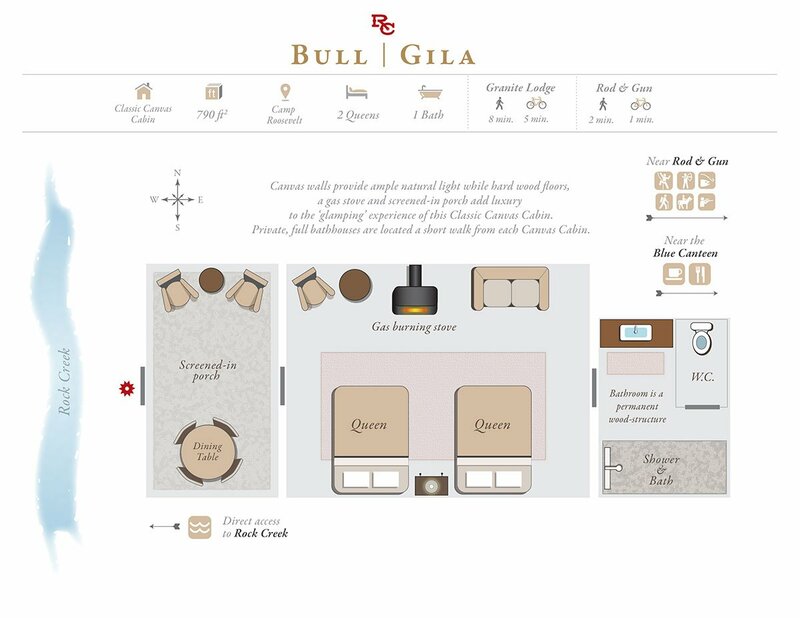 There are four 790 sq. 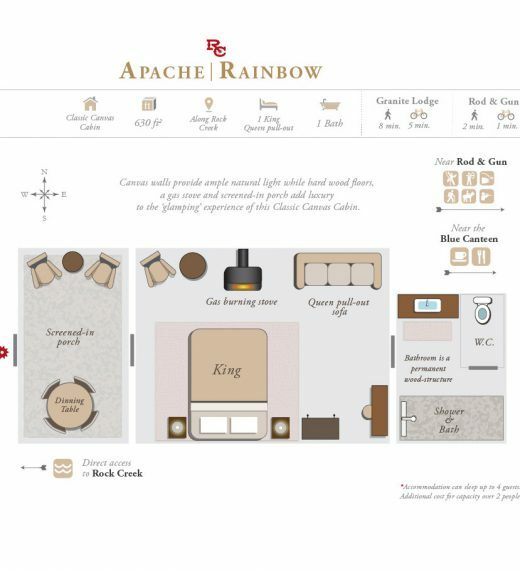 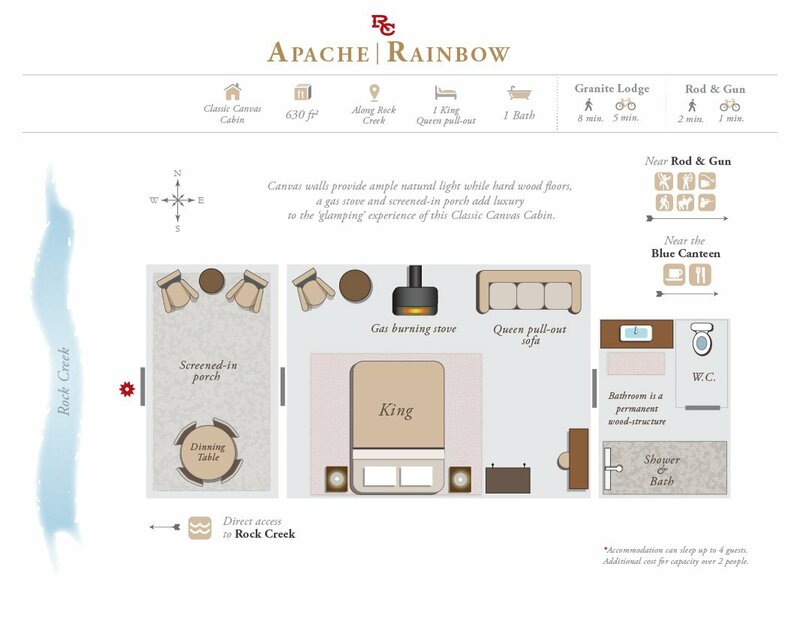 ft. Classic Canvas Cabins: Rainbow, Apache, Gila and Bull. 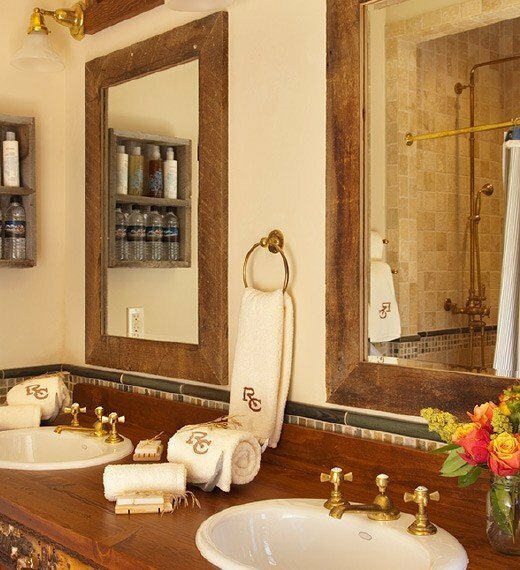 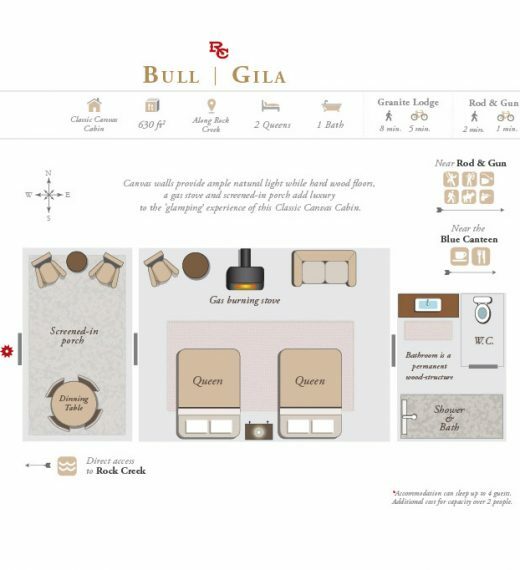 Standard occupancy is two guests, with a maximum of four in Gila and Bull. 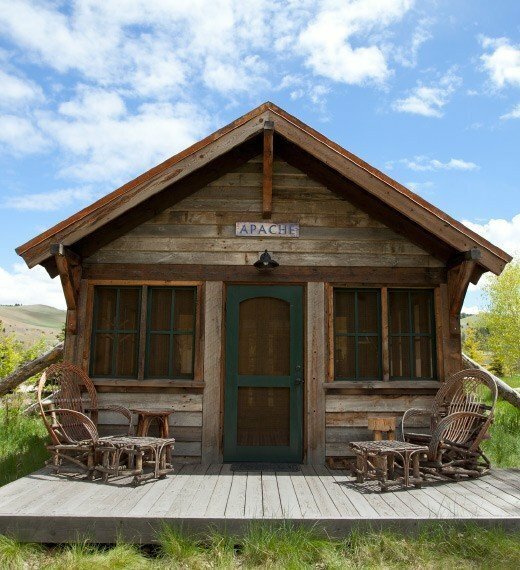 Classic Canvas Cabins are closed during the colder months. 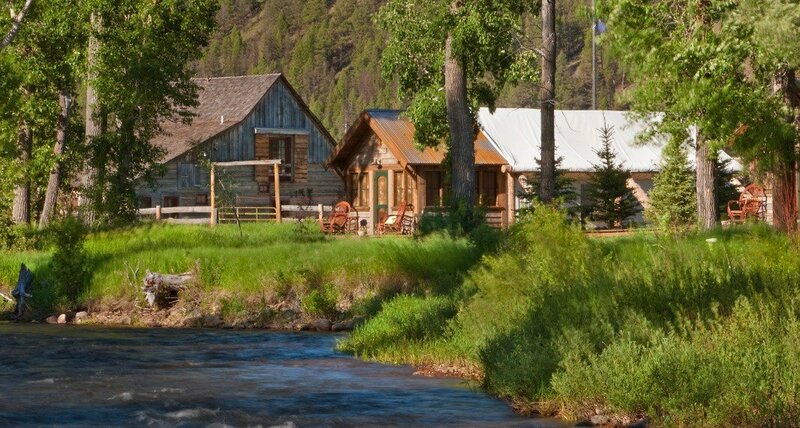 Trapper and Sweet Grass Cabins are open year-round.